And that’s just some of the crowd. The room is actually about three times bigger than what you can see here. 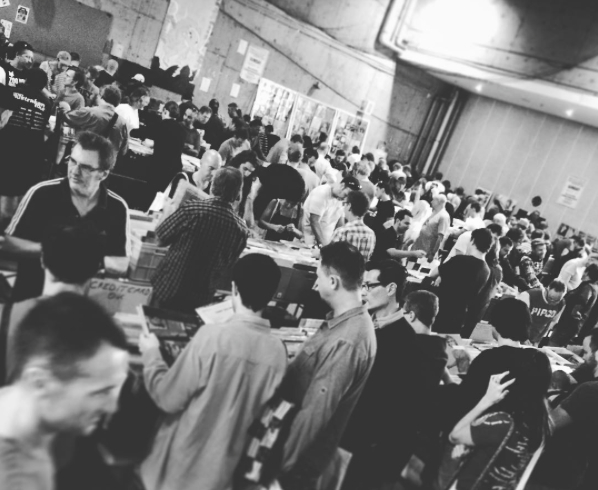 When you first walk in there’s an amazing – some would say daunting and overpowering – number of stalls to check out and make your choices. 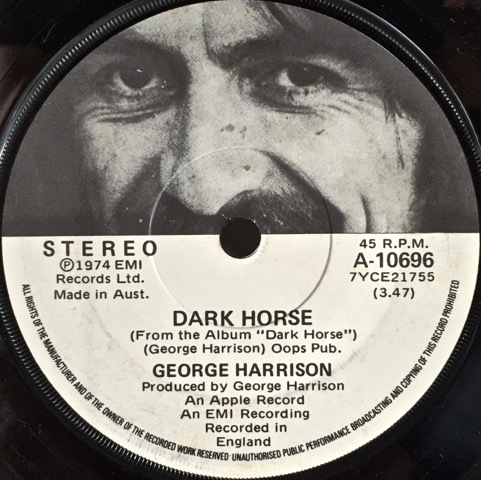 It’s good to have the original Apple Records custom labels for George Harrison’s “Dark Horse”, from 1974. 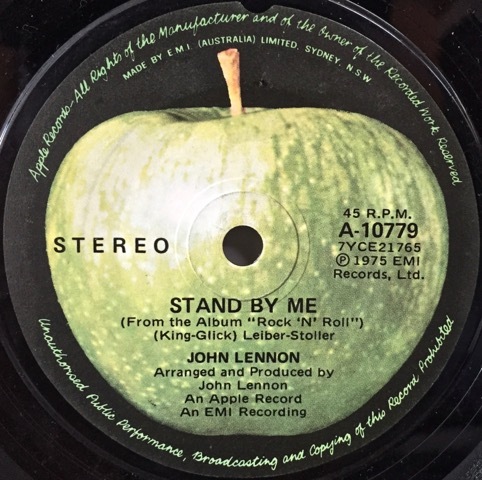 (It’s wife Olivia’s eyes on the B side). 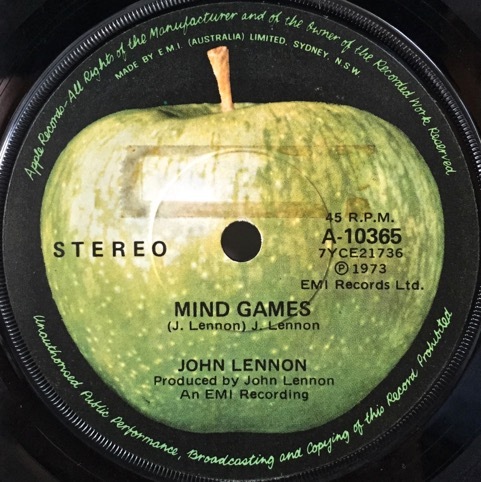 Here are some links to previous Glebe record fair visits and what we found: (i) 2012, (ii) 2012, (iii) 2012, (iv) 2013, and (v) 2015. 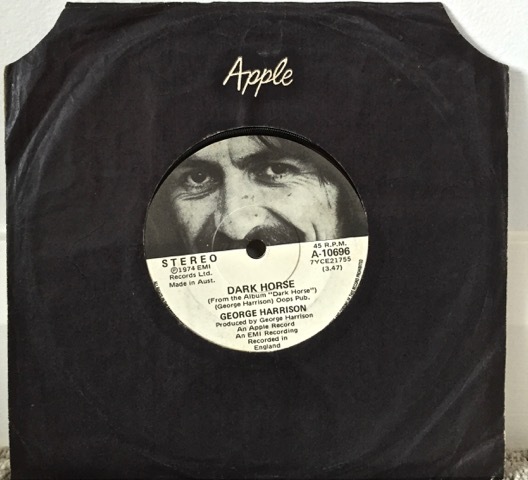 This entry was posted in Apple, Apple Records, Beatles, Beatles Collecting, Beatles Music, George Harrison, John Lennon and tagged Apple Records, Beatles, Beatles Collecting, Crate Digging, George Harrison, John Lennon, Record Fair by beatlesblogger. Bookmark the permalink.